The Downsides of "There's a Pill for That"
Is true health really as easy as popping a pill? What happens when we stop taking the pill or the contents of the pill are seen as foreign to the body? These are stark questions now being asked at a time in history when so many Americans seem so sick despite enormous advances in technology and access to new and “improved” drugs. Some would argue that Americans have become far too reliant on a pill for every problem from depression to diabetes. Others believe that drugs are a necessary requirement to staying healthy. Who is right? 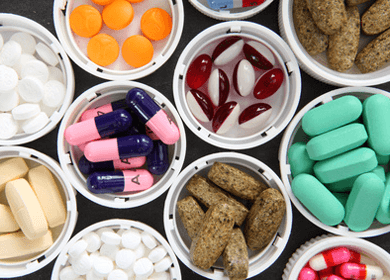 For example, the Mayo Clinic notes that patients who take statin drugs for cholesterol should always consider making healthy lifestyle choices before opting for the drug. Statins help to lower cholesterol by blocking a substance that the body needs to make cholesterol. However, there is mounting concern about the side effects and long term health implications of taking these drugs. Lifestyle changes such as quitting smoking, eating a healthy diet, managing stress and getting plenty of exercise are recommended ways to help keep cholesterol in check. In certain, life threatening situations, some doctor-administered drugs can save a life. However, their use in management of lifestyle illnesses is questioned. There are few people who realize the risks associated with prescription drugs and are far too willing to pop a pill before assessing these risks. In reality, prescription drugs cause more than 2 million hospitalizations and over 100,000 in hospital deaths each year. Drug reactions, side effects and other risks associated with taking prescription drugs are often over looked. Even something so simple as taking an aspirin every time we have a headache can lead to health problems. We know that it is not an aspirin deficiency that caused the headache, so taking a pill will not actually fix the problem, it will only mask the symptoms. Getting smarter about prevention and long-term health management significantly reduces the risk of developing lifestyle illnesses such as diabetes, heart disease and stroke, to name a few. Stress management, getting plenty of sleep, eating a non-processed diet, meditating, drinking plenty of water and exercising daily are necessary if one wishes to achieve true health. A healthy body is self regulating and provides the ultimate defense from sickness and disease. Sadly, this prescription for health is rarely the first one suggested when we visit our physician’s office. Rather than prescribing lifestyle changes it is far easier and much more lucrative to turn to pills. Hey Buddy!, I found this information for you: "The Downsides of “There’s a Pill for That”". Here is the website link: https://www.thealternativedaily.com/the-downsides-of-theres-a-pill-for-that/. Thank you.